Epidemiology and Disease Control Division was established as a Division of Statistics in 2030 BS and reorganized as Epidemiology and Statistical Division in 2035. 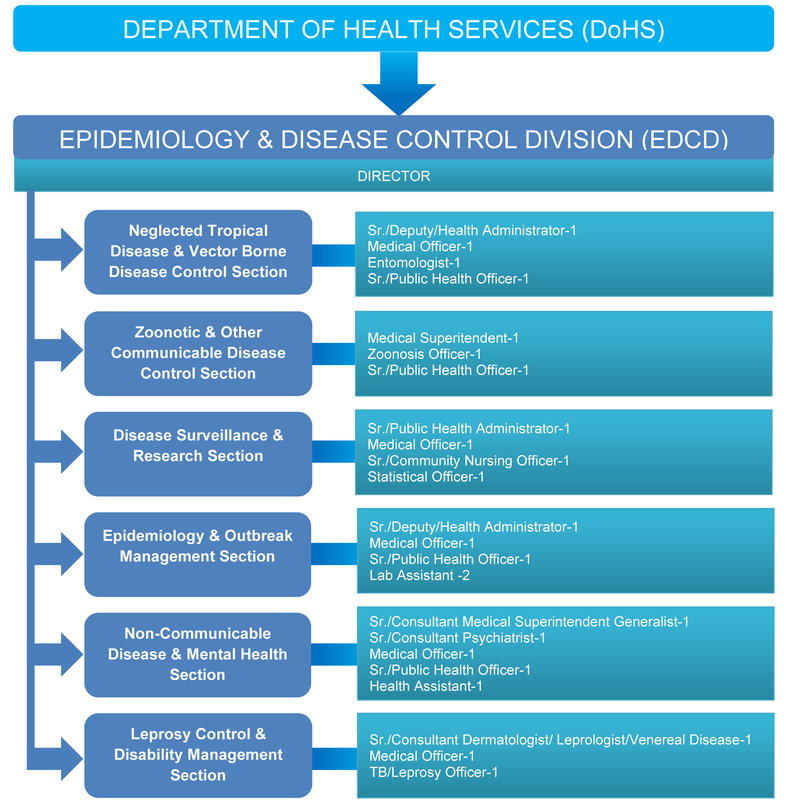 According to new organizational structure 2050 BS, this Division is named as Epidemiology and Disease Control Division. Here shows the organization structure.